Crytek, developer of the popular Crysis series and beautiful CryEngine, has been quietly working on a new title for virtual reality platforms that lets you climb mountains from a first person perspective. The game, known as The Climb, is an exhilarating experience (at least, according to those who've tried it) that sees you rock climbing in lush, beautiful environments. It's a single-player game for now, but you can compete against your friends on a leaderboard to see who can climb the most difficult paths in the fastest time. The Climb's main mechanic is, as you might expect, climbing, which works through a combination of turning your head and pressing the appropriate buttons on a controller. As The Verge describes it, "to grasp a hard-to-reach hold, you have to really lean your shoulders and crane your neck, as if straining your arm muscles to scale a steep slope." 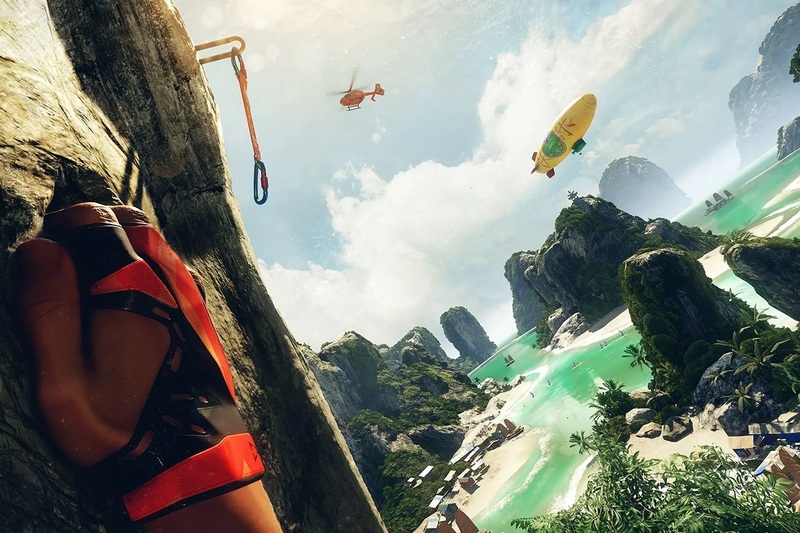 At this stage, The Climb only supports climbing through a controller, but when the Oculus Rift's motion controllers launch, Crytek will explore adding in a motion controlled experience. Even without motion controls, though, the game looks like a pretty compelling way to rock climb in famous, real-world locations from the comfort of your living room. The mechanics of The Climb are quite different from Crytek's past games, and could almost be described as a virtual reality platformer. The sole purpose of the game is to climb mountains in the most realistic way possible, so the developer has focused on fine-tuning the experience to make it both as exhilarating and fun as real-world climbing. Unsurprisingly, the game will use Crytek's CryEngine, and despite the impressive visuals, the company says they've got the game running at 90 frames per second at a resolution of 2160 x 1200 on "target machines". It seems pretty likely you'll need a beastly system to run this game, but it won't be impossible on today's hardware. Considering the game only features a single mechanic and fairly simple gameplay, Crytek hasn't decided on a price point for The Climb just yet. However the title will be exclusive to the Oculus Rift, and will be launching at some point during the first quarter of 2016.